Google keeps improving Gmail, and it's once again time to graduate some of the Gmail Lab features to "regular use", and also drops the unneeded ones. Why stick to a single golden star when you can use different stars and symbols to better manage your emails? 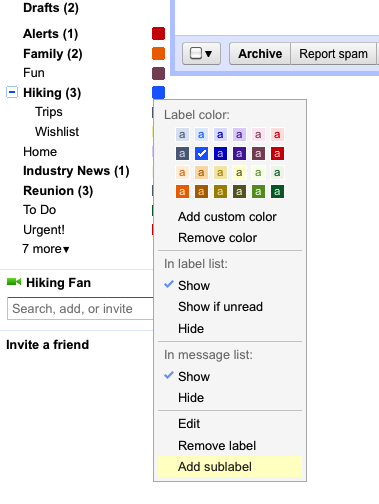 Choose you star set from your Gmail settings. Now you can have your cake and eat it too. With nested labels you'll no longer have to figure out the best way to keep your emails in order. Just add the labels as you see fit - no restriction whatsoever. For everyone accessing Gmail via IMAP service, you now get a lot more control over how things get done. You can limit the number and size of synced emails, as well choose to sync just some labels. The control is yours.